Not routinely. Because midwives provide all the care that a woman needs throughout her labour, birth and postpartum, women need to choose whether they would like to see a midwife or a doctor. If your care becomes more complicated and you need to see a doctor, the midwife will arrange it for you. Midwifery care is free for all residents of Ontario. You don’t need to be a Canadian citizen and you don’t even need a health card (OHIP). Read more. Of course, we all contribute to health care costs in Ontario with our tax dollars but there is no out of pocket cost to access the specialized care of a midwife. If you are unsure if you qualify for free midwifery care, please don’t hesitate to contact us and we will be happy to let you know. We frequently work with new comers and refugees. You can also click this link to read a handout for uninsured clients. 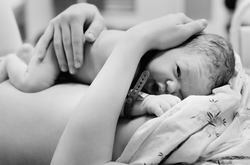 Can I have a hospital birth? Yes! One of the most important decisions that parents must make is the location of birth. If your pregnancy is low risk, you may choose to have your baby either at home or in the hospital, and we will provide full midwifery care in either setting. If your health status, or the health of your baby, requires you to deliver in the hospital, we will discuss it with you. Yes! If you need or want an epidural, we all have the training and experience required for you to have an epidural for pain relief in labour. Many of our clients choose this option. You can only have an epidural in the hospital and only once you are in good, strong, active labour. Midwives qualify for registration by graduating from the Ontario Midwifery Education Program, a four year university degree program. Foreign-trained midwives complete the International Midwifery Pre-registration Program at Ryerson University. What are the protections in place to make sure that midwifery care is safe? Midwives in Ontario must be registered by the College of Midwives of Ontario in order to practice. The CMO sets standards that protect the public and make midwifery safe. These standards include guidelines such as what equipment midwives must bring to a home birth, or when a doctor must be consulted for example. They also set rules on continuing education and require regular training and practice for emergency situations for both mothers and babies. Midwives also regularly participate in Quality of Care and Patient Safety activities. To learn more, please visit the CMO website. How do I obtain the services of a midwife? Complete our new patient intake form online or call us at 905-527-8919. Midwifery care is free to all residents of Ontario and you can contact us directly. You don't need a referral from a doctor. When you fill out our online intake sheet, we will phone you to confirm within 1-2 business days. Who can come to appointments with me? You can bring anybody that you like to your appointments. If you would like a friend or family member to come in just to hear the baby’s heart beat, that is ok too. If your children require lots of attention and will make it difficult for you to focus on your appointment, you may wish to leave them with a trusted caregiver. Little ones are always welcome but we are unable to provide supervision. What can I expect from prenatal care? In general, our care begins with an initial interview where we share lots of information about midwifery care with you and you start to get to know us and how the clinic works. We want to get to know you too, as well as your plans and your concerns. Once you decide to come into care with us, we will take your health history and discuss your options for genetic screening. At your first or second visit, we will do a physical check-up, take blood and order an ultrasound. If you are due for a pap, we will do that, too. At future visits, we monitor your blood pressure and weight gain, check your urine, and your baby’s growth, heart rate and position. Our visits last 30 minutes after the initial intake process (where you will have one or two, one hour visits) so this gives us lots of time to answer your questions and do health teaching. We encourage you to write your questions down and bring them with you to your appointments. Read more. We will see you for the first time around 10 weeks, then every 4-6 weeks after that until 28 weeks. We will see you every 2-3 weeks from 28-36 weeks, then every week until you have your baby. If you are planning home birth, one of these late pregnancy visits will be at your home. Women planning a hospital birth may opt for one prenatal home visit, too. If you have already seen another care provider for part of your prenatal care, we will request your records so that you will receive safe and seamless care. Click to hide. What if there are complications in my pregnancy? Midwives provide total care to clients who experience healthy, normal pregnancies. If you develop obstetric problems or have a medical condition, you will have a consultation with a doctor to assess your condition and discuss a management plan. Most clients who require a consultation see a doctor just once and return to midwifery care. Some client’s care becomes high risk and will need to be transferred to the care of an obstetrician. We will still maintain supportive care in this case and generally the baby will still be under our care. Please see our FAQ on Supportive Care. Which midwives will I see? You will be assigned a small team of midwives (either 3 or 4, with 2 midwives providing the bulk of your care). You will usually see your coordinating (primary) midwife for your first two visits which are one hour appointments. After that, your visits will be shared by the midwives on your team. You will have most of your visits with your primary and second midwives and you will meet a third and possibly a fourth midwife at least once, in case they are needed for backup at the birth or for postpartum visits. This gives you an opportunity to meet them all and to develop a relationship with your midwives. Read more. When you are in labour, it is our aim that you will be attended by your primary or second midwife. This may not always be possible due to various factors, including busy times when several labours are happening at the same time or if your midwives are off-call for sleep or personal time. All of the midwives at the The Hamilton Midwives provide the same high standard of safe and compassionate care so you will be well looked after even if your team is unavailable. Click to hide. We will explain midwifery care and how our practice works. We will ask about your expectations, plans, hopes and concerns. Our discussion will help you decide if midwifery care is right for you. At the first or second visit, we will do a full history and physical assessment. What is it like to give birth with a midwife? During early labour, you will be in the comfort of your own home with your support person/people. We will have reviewed ways to cope with early labour during your prenatal appointments. You will page the midwife when you think you are in active (regular, strong) labour. 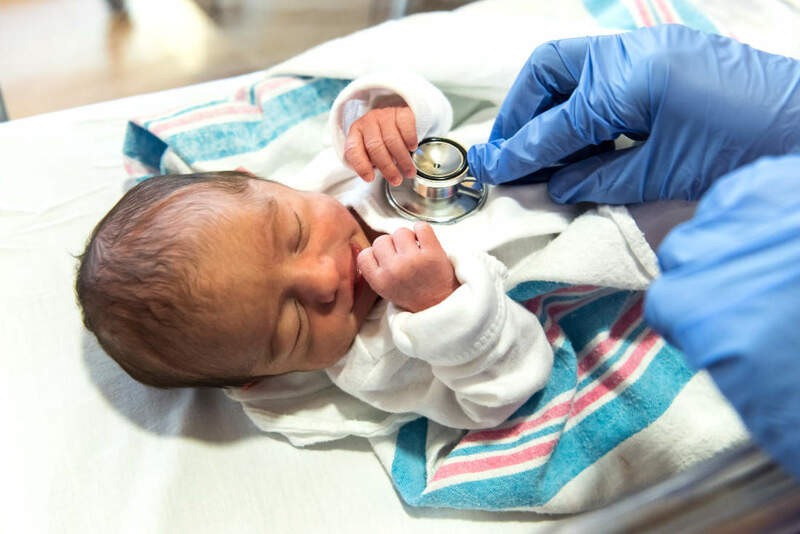 The initial labour assessment is generally done at home for first-time mothers and in the hospital for all second-time (and more) mothers who are planning a hospital birth. You will have access to the on-call pager to call us when you are in labour and we will respond within 20 minutes (usually much quicker). Whether you decide to stay home or to have a hospital birth, during active labour, a midwife stay with you and provide all the care that you need during your active labour. Read more. We will check your vital signs (blood pressure, pulse, and temperature), assess the dilation of your cervix, monitor labour contractions and the baby’s heart rate and position. We will assist with comfort measures and guide your support person in ways to help if needed. The midwife will deliver the baby and placenta, examine your newborn baby, and check all aspects of your condition after the birth. This includes stitches (with freezing) if necessary. One midwife is with you during your active labour and a second midwife will be called when the birth of your baby is getting close. That way once the baby is born, you will each have a midwife solely responsible for your wellbeing and care. Midwives provide skilled support during labour and suggestions for pain relief if desired. We cannot replace the important support provided by your partner, close friends or other family members. 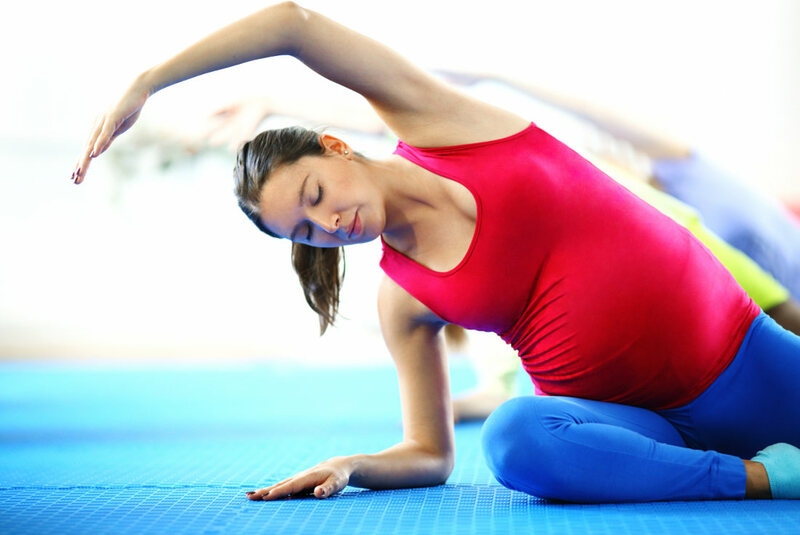 We also encourage you to take prenatal classes during your pregnancy, and to consider the services of a labour support person for even more support. Click to hide. What if I need a forceps, vacuum or c-section delivery? A midwife will be with you throughout your birth. If interventions are required, she will organize for the doctor to see you and she will stay with you if your care is transferred. No matter what kind of delivery you need, the midwife will be there for you. See our FAQ on transfer of care. Who will be with me for my baby's birth? When you are in labour, it is our aim that you will be attended by one of the midwives on your team. When your baby is close to being born, a backup midwife will come, and she will ideally be from your team as well. This may not always be possible due to various factors, including busy times, when several labours are happening at the same time. 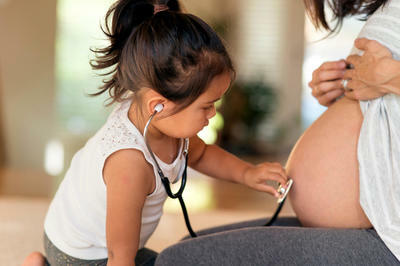 We have a success rate of more than 90% for having a midwife who is known to you attend your birth. ​As long as your labour is normal and you are not requiring continuous fetal monitoring, clients of The Hamilton Midwives can benefit from the relaxation and pain relief of water during labour whether they choose to birth at home or in the hospital. If you would like to deliver your baby into the water, this option is only available at home. Please ask your midwife for more information. How are doulas different from midwives? Doulas are professional labour support people. A doula's job is to help you cope with labour by offering comfort measures, physical and emotional support and suggestions to help your labour progress naturally. Midwives provide the health care that you and your baby need. Midwives monitor your labour, deliver the baby and make sure that you and your baby are safe and healthy during the birthing process. Read more. Doulas can help women have a natural (drug-free) birth, as this is their expertise. Doulas are also able to be with you in the early phase of labour before the midwife arrives. Doulas do not work for the healthcare system so you pay out of pocket for their services. Doulas and midwives work well together and have different roles. Although midwives possess many of the skills that doulas do, midwives have to deal with medical issues as a first priority and also have paperwork that occupies some of their time. A midwife will do her absolute best to make you comfortable, but her priority will always be your medical care and working to treat any issues that arise. The doula will have none of those clinical responsibilities and can focus on supporting you during a challenging time. Click to hide. What care do midwives provide after the baby's birth? After the birth, whether at St Joseph’s hospital or at home, we will monitor the condition of both you and your baby for the first 2-4 hours. We will help you breastfeed and provide information and guidance for your wellbeing during the early days after the birth. We will visit you during the postpartum period to check on the health of both you and your baby, answer questions and assist with breastfeeding and other aspects of infant and self care. We usually see women and their babies on days 1, 3, 5, and between 7-10 at home, and weeks 2, 4 and 6 at the clinic. The final visit usually takes place at 6 weeks and a final physical assessment of both you and your baby is done. A summary of your pregnancy, birth and early postpartum period will be sent to your family doctor and you are welcome to have copies of your records if you would like. How do I contact the midwife? For non-urgent issues such as appointments or other questions, please always call the office number: 905-527-8919. Please leave a voicemail message if we do not answer your call and one of our administrators or midwives will get back to you. Midwives are available by pager at all times for urgent problems and for labour and birth. All of the midwives and our students use a common answering service that is staffed 24 hours a day. Occasionally there is a glitch in the system. If you have not had a reply in 10 minutes to an urgent request, please call the paging service again. When individual midwives have their off call time, their pages are forwarded to another midwife so you will always reach one of us. The paging system is ONLY for clients of The Hamilton Midwives. How are midwifery students involved in care? 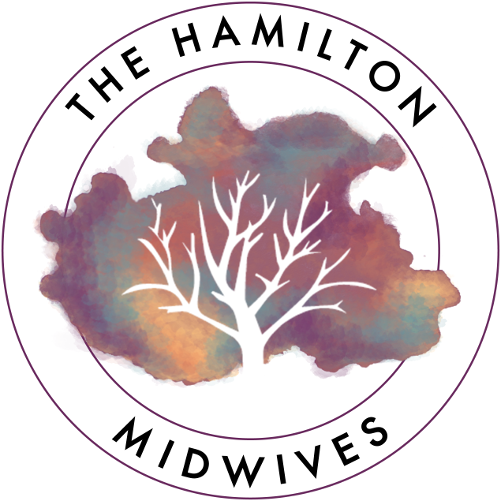 The Hamilton Midwives is a teaching practice. We partner with The Midwifery Education program at McMaster University to ensure the sustainability of midwifery for all women and babies in Ontario. Students are present in our office most of the time and participate in all aspects of client care. Students are studying for a 4 year degree and they come work with us for 4 months in their second year and for nine months in their final year. Read more. Students in their first placement are laying the foundation of their clinical skills and learning what it means to be a midwife. They focus on normal pregnancy, birth and postpartum care. Students in their final clinical placement work very much like apprentices with both direct and indirect supervision. They take on more and more responsibility as the year goes on and you will have the opportunity to see her grow in skills and confidence as you progress in your pregnancy. Senior students are consolidating their knowledge of the normal while expanding their knowledge of abnormal and emergency situations. Senior students can act as one of the midwives at a birth and do certain home visits and take pages independently. There is always a registered midwife closely following each of our students, making sure that our clients are receiving safe, thorough, excellent care. Most women come to see their student as an integral part of her team. We encourage clients to be teachers of our students and welcome feedback about their progress. Click to hide. ​You are free to review your midwifery records at any time. If you go out-of-town for a vacation or on business, we will supply a copy of your records to carry with you. Often, we will ask you to carry a copy of your records during the last month of pregnancy so that if you require a home or hospital visit, you will have readily accessible information. At your final postpartum visit, you may request a copy of your records to keep. We will retain the original in our files. Your records are kept in a locked area and are only accessible to members of the practice. We respect each client’s right to complete confidentiality. What happens if my baby or I develop complications? If you or your baby develop complications, health problems or have a medical condition, you will have a consultation with a doctor to assess the condition and discuss a management plan. Most women and babies who require a consultation see a doctor just once and return to midwifery care. Sometime care becomes high risk and will needs to be transferred to the care of a doctor. This means that all the clinical care (hands on medical care) is now provided by doctors and nurses instead of the midwife. We will still maintain supportive care which means that we provide you with information and support, and attend your delivery to provide you with comfort, reassurance and encouragement. Usually if a woman’s care is transferred before birth, we will still be able to care for her baby once s/he is born. 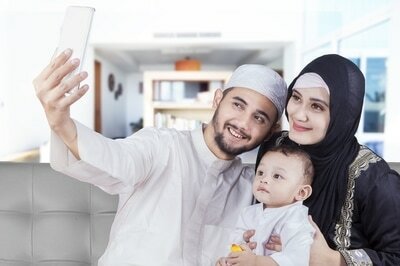 ​The Hamilton Midwives all speak English, and we are able to provide some care in French, Farsi (Persian) and Armenian (western dialect) although we cannot guarantee care in these languages. One of our midwives has basic Somali. Clients are asked to bring a friend or relative to their appointments to translate for them if possible. If this is impossible, The Hamilton Midwives will provide a translator either in person or by phone (at no cost to you). The Hamilton Midwives does not receive government funding for this service so we ask you to try and bring a trusted English speaker with you when you can. If you are unable to find the answer(s) to your question(s) on this page, please feel free to contact us and one of our team members will be happy to help.